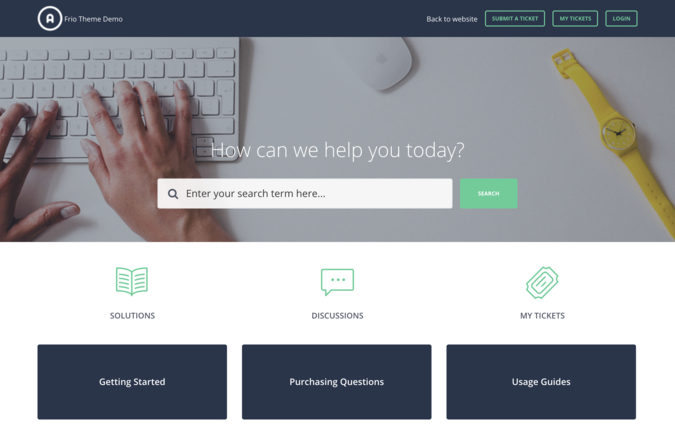 Make your Freshdesk support portal professional-looking and user-friendly by installing this ready-to-use Frio theme. It allows you to benefit from additional formatting features and is easy to modify and maintain. 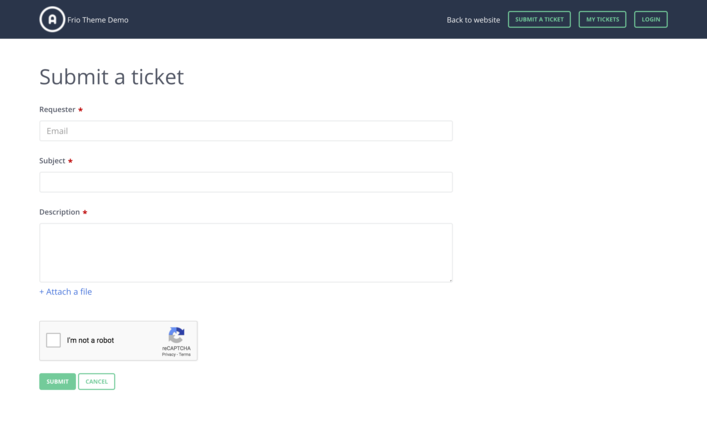 Frio theme for Freshdesk support portals is professional-looking and flexible. It has a minimalistic, intuitive design and an easy-to-navigate structure. Frio includes a parallax image and a floating search box. This responsive theme provides your users with a great experience on any device. Frio theme supports every Freshdesk feature and contains additional options that aren’t offered in the default theme. So this helps you not to overload your support portal by installing multiple plugins. Frio has been tested thoroughly to prevent you from bugs and other issues. Additionally, custom blocks that it includes can be used for different purposes. 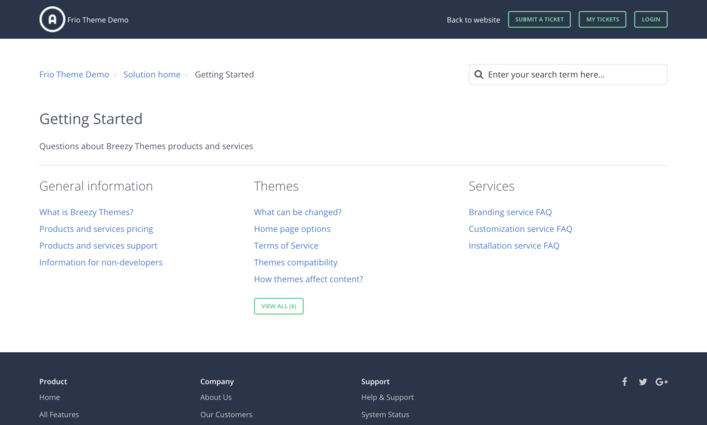 If you’d like to change colors of your theme to match your main website, you can order our Freshdesk Branding service.